The largest coal company in the world just signed a major solar deal. Green is going global. More and more countries are getting in on the green energy bandwagon, shifting their energy dependencies from fossil fuel burning to renewable energy. And the biggest recipient of this? Solar. Countries are increasingly depending on the Sun to provide for their energy needs. And this means the building of bigger and better solar farms. Maybe this is why a zebra is changing its stripes. The world’s largest coal company, China’s state-owned Shenhua Group Corp. has just partnered with Santa Monica, Calif.-based SolarReserve in order to bring 1,000 megawatts of solar thermal plants into China. The two companies signed a memorandum of understanding earlier this week in Washington, in a ceremony attended by two Deputy Secretaries for Commerce and for Energy. Under the memorandum, Shenhua will bring its expertise in constructing and operating power plants and take the lead on development, while SolarReserve brings its solar thermal technology, as well as its support services. 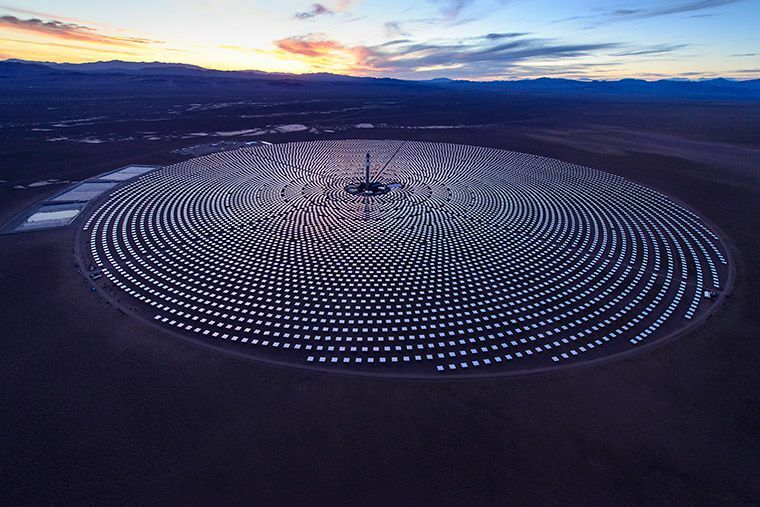 SolarReserve just brought its 110 MW Crescent Dunes project in Nevada online earlier this year, and is currently working on its 100 MW Redstone Project in South Africa and the 260 MW Copiapó facility in Chile. Unlike other solar power providers, SolarReserve builds and develops its own molten salt energy storage technology. The way it works is that it focuses the solar energy from the sun into a tall molten salt tower at the center of the complex, heating the molten salt into more than 566 C(1050 F). This is then transferred to storage tanks and used to run turbines. Because the salt can maintain its heat for up to ten hours, the plant can continue to produce energy long after the sun goes down. This technology allows SolarReserve’s plants to create power for 24 hours a day and maintain a stable electricity output—in contrast to the inconsistent production from typical renewable plants difficult to cope with.